For as long as I’ve been in social work, I’ve had a difficult time grasping the idea of “housing readiness.” The idea behind housing readiness is that a person who is homeless should first conquer his or her demons and prove that they are ready for and have, in turn, earned the right to housing. This premise is one that homeless service providers have wrestled with for years. I’m not sure about you, but no one ever made me prove my ability to cook, clean, avoid poor decisions, pay bills on time or be the overall picture of perfection before they allowed me to have a roof over my head. If they had, I’m more than sure that I would never have been granted access to an apartment during my 20’s and probably never would have gotten a home mortgage in my 30’s. 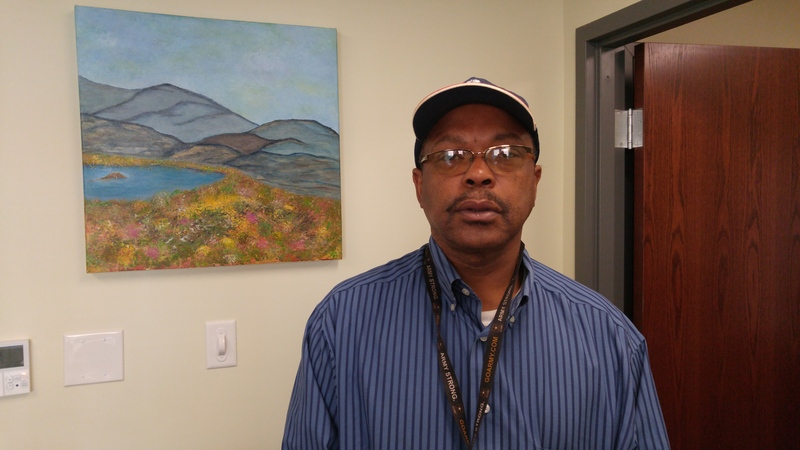 Virginia Supportive Housing (VSH) subscribes to the “housing first” model, which focuses on bringing people directly from the street and into their own apartment. This model casts off the traditional transitional housing model in which homeless individuals have to earn their right to permanent housing. These models usually send individuals from the streets to a shelter, then to a transitional program, then to an apartment. Whew, that’s a lot of adjusting for someone who is in dire need of stability. With Housing First, our primary focus is to put an individual into permanent, stable housing right away. This is where my role at VSH comes in to play. A few years ago I was hired as a case manager for what was then, a brand new program at VSH, called HomeLink. The HomeLink program created a framework to identify and house those most at risk of dying on the street. When I began my job, many people asked me why we put people into housing without first asking them to clean up their credit, get a job, stop using drugs, follow directions or otherwise fit into the mold of “perfect.” In the beginning it was difficult to answer this question, other than by just saying “because it’s right.” And then I met John. John was one of my first client’s in the HomeLink Program and our first meeting was in the downtown Social Services building. I walked into the room and was met by a frail young man wearing a heavy army coat and a hat that pulled down over his eyes. The distinct odor of days without access to a shower and alcohol met me as I pulled a chair next to him. I introduced myself and John silently looked me up and down with a skeptical look on his face. He then said, “You and I aren’t going to get along.” Trying not to look taken aback, I smiled and said that was ok. The conversation didn’t necessarily go well from there. John was skeptical about my program and the fact that I was offering him housing with no strings attached. Several times during the first meeting he got up to walk away and I gently coaxed him back into the chair to talk with me. After an hour passed, we wrapped up our conversation and I asked John if he would want to go look at an apartment. Again he looked at me with a bit of shock and skepticism, but advised that he did want to look at an apartment and we agreed to meet the next morning at a corner he liked to hang out at downtown. The next day arrived and I pulled up to the corner to find my new client even frailer than the day before. He was no longer wrapped in a heavy coat and the skeletal outline of his body was shocking. John did, however, seem a bit more relaxed and opened up to tell me more about himself. He said he had been on the street for nine years and had been battling addiction. He also disclosed that, because of his addiction, he had burned many bridges with people in his life and made the decision to separate from friends and family in an effort to protect them from further hurt. The shame was blaringly evident as he spoke quietly in the car next to me, head down and gaze pointed at the floorboard of our van. After looking at an apartment, we set a date for John to move in just a couple of weeks away. He was quiet, but excited…and still a bit skeptical. As I was driving him back to the place where he would spend his days, he mentioned that he had been feeling quite ill for weeks but did not want to go to the hospital. 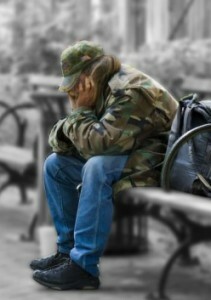 John, I knew, had AIDS and had in the past faced many battles with serious illness as a result of his being on the street without access to proper nutrition or medical care. I offered to take him to the hospital to be looked at but he declined, saying that he did not like hospitals. I gave him my card and told him to call me if he changed his mind. Several days passed and John continued to decline my offer to take him to the hospital. Then, one night right before I was leaving the office I received a phone call from him saying that he would go. I immediately drove to pick him up but as we reached the hospital he, again, changed his mind. I offered to buy him a Frosty from Wendy’s and sit with him in the Emergency Room while he was evaluated. Looking surprised, he agreed and there we sat for hours, waiting for him to be seen. There were many strange looks as people walked by and saw me, dressed in my work clothes with John, dressed in his dirty army coat and stocking cap, sharing dinner and conversation together. I imagine that John knew, in his heart, that if he went to the hospital he might never get to come back home. He had battled with severe pain and nausea for weeks but never wanted to go to the hospital because of fear of the unknown, denial and on a deep level, fear about how people would treat him knowing that he was homeless, an alcoholic and HIV positive. John was admitted into the hospital that evening and, for the next two months, he remained there. Battling sepsis, an infection in the blood and meningitis, John lay weak and in pain in his hospital bed. Every day myself or one of the two social workers on my team would go and sit with John. We would talk about the weather, about his day, about his illness, about his hopes to go to his new apartment and, toward the end, about the many joys and many regrets that he had about his life. Always with gratitude, John began to open up about his life. He shared about his long-term relationship with a young woman and the three beautiful children that had come out of that relationship. He spoke about how he and his partner battled addiction—him to alcohol and her to heroin—and how their youngest son was born addicted to drugs. He shared the guilt that they fought daily about their son’s exposure to drugs, and eventually John told us that their baby boy passed away at just 31 days old, due to birth defects caused by his partner’s substance abuse. He spoke about the deep rift that his son’s death left in his family and how, a few months afterwards, his partner left him a note apologizing for harming their son and explaining her deep sadness. He found that note, and his partner, shortly after she killed herself. John described the panic, despair and anger that came with that note, and the pressure of now being alone with two children. It was there, he explained, that his addiction took a dramatic turn and there that he began to lose touch with the world. Several weeks after our first meeting, I found myself sitting in John’s hospice room, gently washing and shaving him with another social worker from my team. John was unconscious, now in a coma state, but it was a final act to bring dignity to a man who so many had looked passed or given up on. We played Teddy Pendergrass, his favorite musician, on a CD player next to his bed, changed him into a clean gown and tucked him into fresh linens. For many people, these actions are often carried out by family members enjoying last moments with their loved one. But for many other people, these moments are not shared with anyone. For our clients, their last moments would have been the latter—alone, under a bridge or in an abandoned building, without care or comfort and, most likely, without ever being identified after their death. But our program helps change that. Having the pleasure and privilege of being John’s social worker taught me quite a bit about life and its value. More importantly, John finally gave me an ability to answer the question that so many had asked me regarding the housing first model – why? Now, I can easily say “because of John.” Without a housing first model, John would have never been identified for intensive case management and would have most likely continued to refuse care and treatment. And, though John was never able to move into his apartment, he died surrounded by people who loved and cared for him. John’s death could have been prevented. With early identification and intensive case management, John could have received necessary treatment and follow up that would have ultimately saved his life. That is why we believe in and practice a housing first model. I now carry a case load of individuals who are struggling with AIDS, advanced cancer, heart disease, acute kidney failure, mental health and substance abuse, among a host of other medical and psychological diagnosis. Since I started working with HomeLink four months ago, I have buried two clients and am actively preparing for the death of a third. I realize, with every new person that I meet, that the investment in a housing first model will eventually move from providing compassionate end of life care to providing important interventional care that will allow for our client’s survival and reestablishment into the world. So, housing first is about ensuring survival, practicing compassion and realizing our own imperfections. Jesse Jackson once said, “Never look down on another person unless you are helping them up.” Every day, I know that, when I offer my hand, I am helping another person up. The Virginia Pilot recently reported on construction of our Crescent Square property, under construction in Virginia Beach. Read more about the project here. Richmond native Anne Thomas Hines joined VSH’s board last August, and she’s quickly proved her passion for our mission and commitment to serving others. Mrs. Hines chairs the Mission Advancement Committee in Richmond, and is also chairing the auction event for Find Art Doors to be held in October. She also recently hosted VSH’s first celebration of our “Pillars of Hope Society” that recognizes sustaining donors. Mrs. Hines’ dedication for serving those less fortunate kicked in long before her VSH orientation; it’s been part of her inner drive for as long as she can remember. In fact, when asked if she could outline her ideal day in Richmond, she simply said she would love the opportunity to spend several hours every day working with the under-served in the community. Finding that time was hard to do while raising three children and working fulltime running an interior design business and an antiques store—which she and her husband operated for 43 years before closing last year. Somehow, she still managed to fit it in her volunteer work. In fact, Mrs. Hines has also served on the Boards of Freedom House, the Peter Paul Development Center and FeedMore. Even now, while wearing many hats serving VSH, she still runs her interior design business. What keeps her going? Knowing that serving non-profit organizations makes a difference. “Sharing a meal and conversation with a formerly homeless individual is possibly the best way to feel the mission of VSH,” added Mrs. Hines. On May 5th & 6th from noon to noon, the Peninsula, Southeast Virginia and Suffolk Community Foundations will host the second annual Give Local 757, the largest fundraising event in Hampton Roads for over 150 local nonprofits. For 24 hours with just a minimum of a $10 donation online (givelocal757.org) or in person (at any Langley Federal Credit Union Branch) citizens can give to Give Local 757 nonprofits that serve the Hampton Roads region. Donations will be amplified with matching funds and prizes! Communities are encouraged to choose a cause, give great and help transform their communities by supporting causes they are most passionate about. We hope we can count on your support of VSH during this two-day challenge!